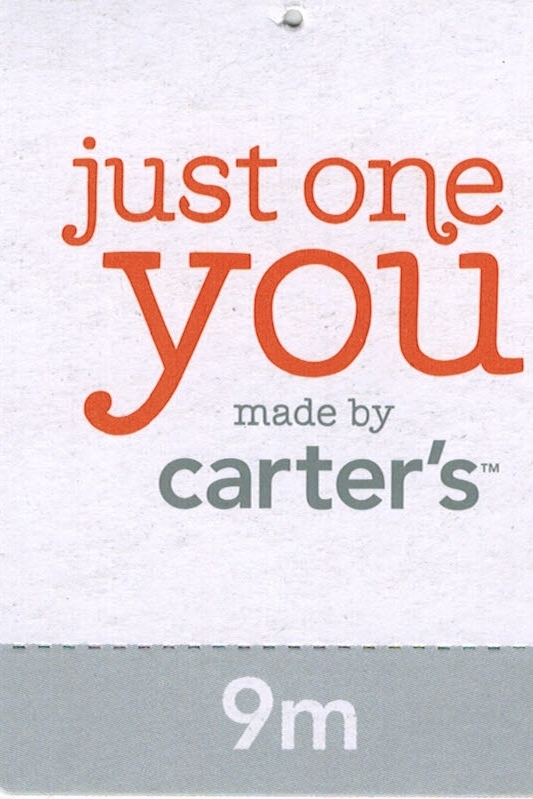 This hang tag is from baby clothing manufacturer Carter's. 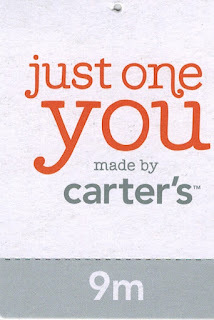 Carter's usually runs monotone tags in slate and white, but this one has the "just one you" sub-brand in bright orange on the front. 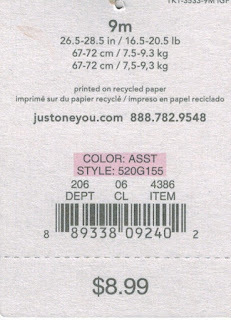 All the text is in lower case, and the size (9m) is display on the gift receipt portion. The reverse is pretty no-nonsense, although there are multiple sizing descriptors, including weight and length. I wonder if this is because baby clothing is frequently bought as gifts, or because infants can vary in size so much. Also, the three sizes are really only two: The imperial standard and the two identical metric sizes. This must be a leftover from the three languages used on the tag, but one wonders how you can differentiate between the French and Spanish numbers. 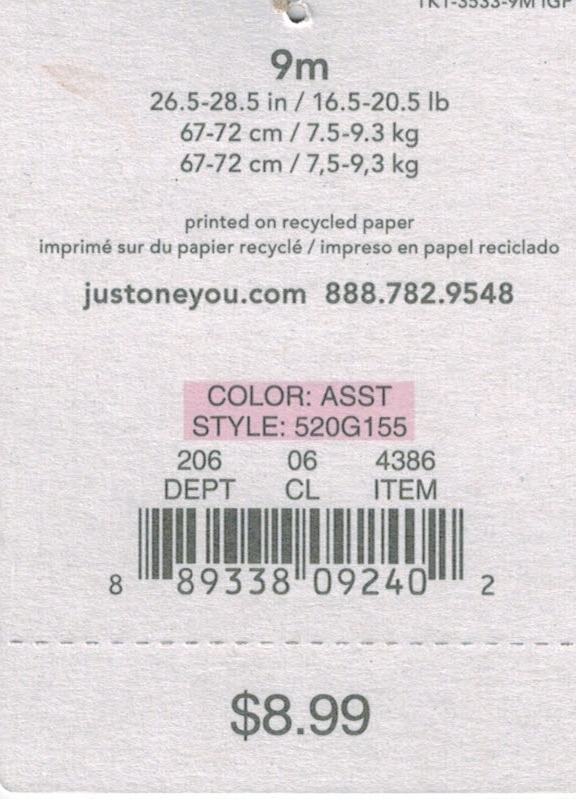 It is also clearly noted in three languages that the tag is printed on recycled paper, before the name.com address and a phone number. The only color on the reverse is the unusual pink highlighting of the color and style number. It is interesting that this has attention called, as a shopper will easily be able to determine the color just by looking at the garment, and has little use for a style number. This must be related to some sort of machine reading. This tag is an odd one for me, where I prefer the reverse over the front. I love the simple, clear design on the reverse, the centered fonts, and the block highlighting. The front is not great. The more you look at the orange, the more you realize how strongly it clashes with the white background. I'm also rarely a fan of all lowercase.